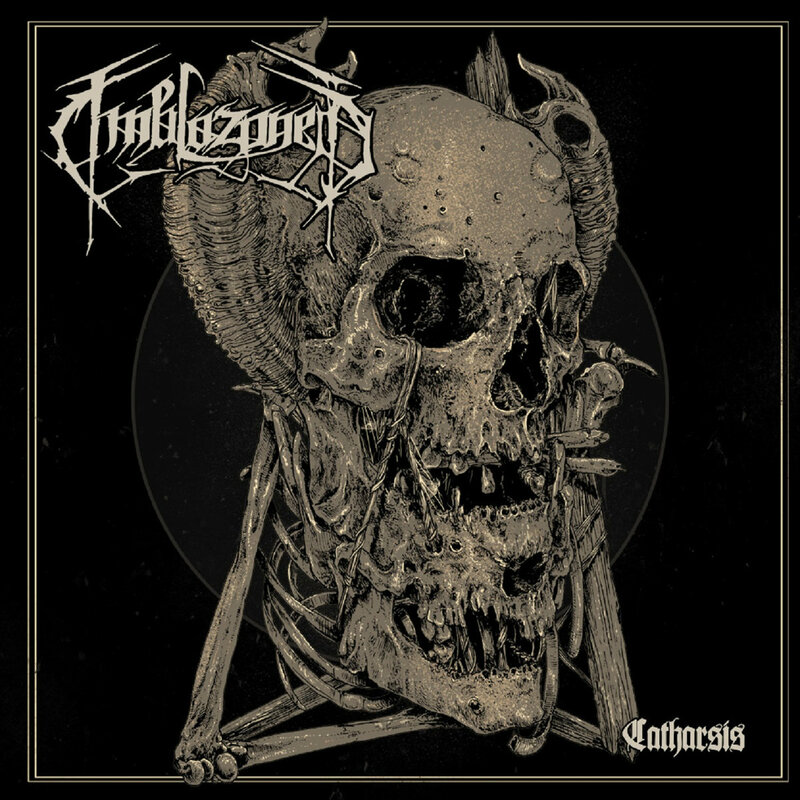 Over the past couple of years Milwaukee, Wisconsin’s Emblazoned have proven themselves to be one of the more resilient and reliable underground death/black metal combos. This shouldn’t really surprise anybody because “Eucharistiae Sacramentum” and “The Living Magisterium” spoke for themselves. Emblazoned very much believes in efficiency and doesn’t put a lot of faith in, well, faith and other people in general. “Catharsis” is just that. It’s a cathartic release of the blackest misanthropic hatred that is one part Malevolent Creation, one part early Deicide – and all awesome. As always it’s finely produced at Belle City Sound – and “Catharsis” is no different in that regard. If only all death/black metal was like this. At the pumping black heart of Emblazoned is multi-instrumentalist Kevin Forsythe, a versatile performer who was in an earlier incarnation of indefatigable Kenosha killers Jungle Rot, and who by this point has worked out what little kinks there were in his songwriting formula on earlier outings. A.J. Lewandowski, who has sessioned with California’s Decrepit Birth, is in no small part responsible for Emblazoned sounding as lively as it does. His playing easily matches that of German band Obscura or the more underground Italian formation Resumed. As a bass guitarist his popping funky licks are integral to the band’s sound. 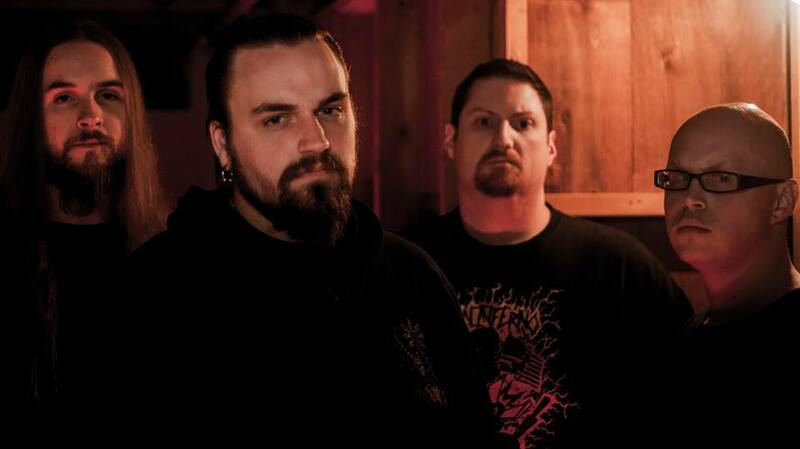 Frontman Jeff Plewa and drummer Alex Pulvermacher are both more than serviceable in their respective areas, but remain fairly typical for the genre all the same. Moreso than in the past is Lewandowski’s bass playing on here instrumental to Emblazoned as a band. At 44 minutes “Catharsis” is the longest record Emblazoned has yet written but thanks to the brevity of Forsythe’s writing it feels a good 10 minutes shorter. In any case the current length is ideal for the kind of music that Emblazoned plays. It’s lean, mean, and absolutely pulls no punches whatsoever. It’s the kind of record that you’d wish Morbid Angel would still be able to conjure up (but never does), a direction that Vital Remains and Krisiun are no longer interested in pursuing, and that in the old days Pessimist could be relied upon to deliver with some semi-regularity. “Catharsis” perfectly fills that void. It has the meanest crunch, retains a sense of groove, and occasionally flirts with the technical – but never to the point of excess. It’s the kind of record that will never go down in the annals of genre history as essential or mandatory, but it has none such aspirations. “Catharsis” embodies what pre-millennial death metal used to be all about. 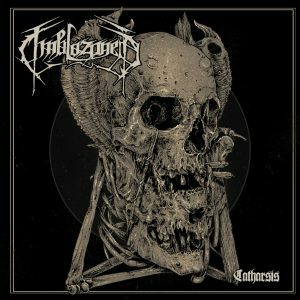 It wastes no time with a superfluous, redundant intro piece that amounts to nothing, it contains no orchestrations, or grand concept – it's just honest, blue-collar death metal composed and performed by guys who clearly love what they do. “Catharsis” cements Emblazoned’s status as one of the most underappreciated acts currently working the scene. Where else are you like to hear a band that combines best traits of Malevolent Creation, early Deicide and Vader into a finely honed, streamlined whole that is as groovy as it is technical? Emblazoned formed in 1999, and it shows. In every positive sense. Forsythe and his men have consistently proven to be able to match themselves with any of the genre’s old guard. It’s a pity that popular opinion will never appreciate bands like this as much they probably should.